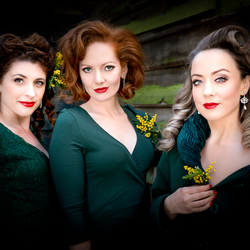 Made up of Georgi Wooderson, Kathryn Ryan and Lauren Woolf, the Haywood Sisters are London's top close harmony trio. 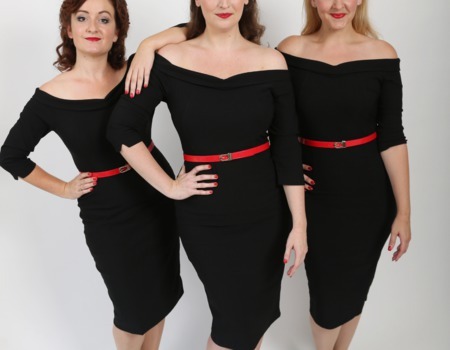 Inspired by The Andrews Sisters, they've taken the UK by storm performing hits by girl groups such as The Shirelles, The Boswell Sisters and The Ronettes. 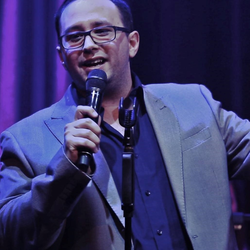 They hit the airwaves regularly, singing jingles for radio stations such as Jazz FM and have performed all over the world for clients in Europe and Asia. Their show 'It Takes Three Girls' is inspired by sister acts throughout the decades. 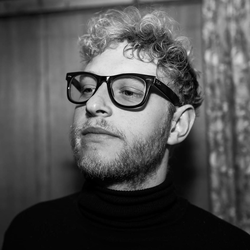 Starting with early Jazz of The Boswell Sisters, through to 1940s Andrews Sisters favourites, 60s Motown from The Ronettes, and finishing with retro versions of modern girl group hits. With killer curves, perfect harmonies and cheeky humour, an evening with this glamorous trio is bound to get everyone's toes tapping. 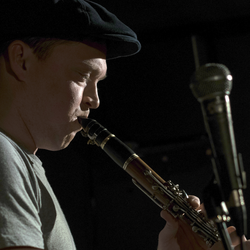 They are accompanied by their four-piece band, consisting of some of London's top musicians. Ed Stanley (keys), Clare Hirst (sax), Bob Clayton (bass), Simon Swan (drums).